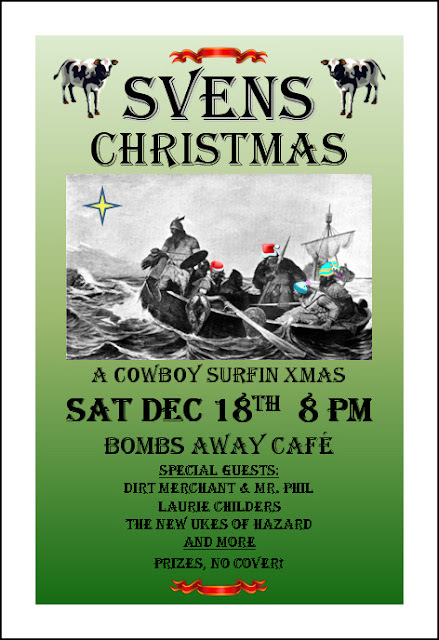 This will be a holiday show complete with festive songs and surfin' melodies. Fun for all! I'll be giving away my own bootleg-autographed CDs and I'm sure there will be lots of other stocking stuffers! Happy holidays!